A stormy night brought a cold and breezy morning – enforcing the fact that Autumn has well and truly arrived with the clocks going back one hour this morning. I love the seasons – though the good summer we’ve had here in the UK has prepared us better than last year for our long winter ahead. I enjoy the change of pace as we head towards Winter – and the different food required following walks through the leaves, Halloween, Bonfire Night, and the coziness of lighting candles and switching on my twinkly kitchen lights as we settle in. Today I prepared a Sunday lunch before we headed out to Macclesfield’s monthly Treacle Market. It seemed a bit quieter this month but we were early and some may have taken advantage of the extra hour in bed. It was good to return home knowing I just had to start everything cooking in readiness for my parents arriving. As a treat for Dad ( who will be 87 next week!) 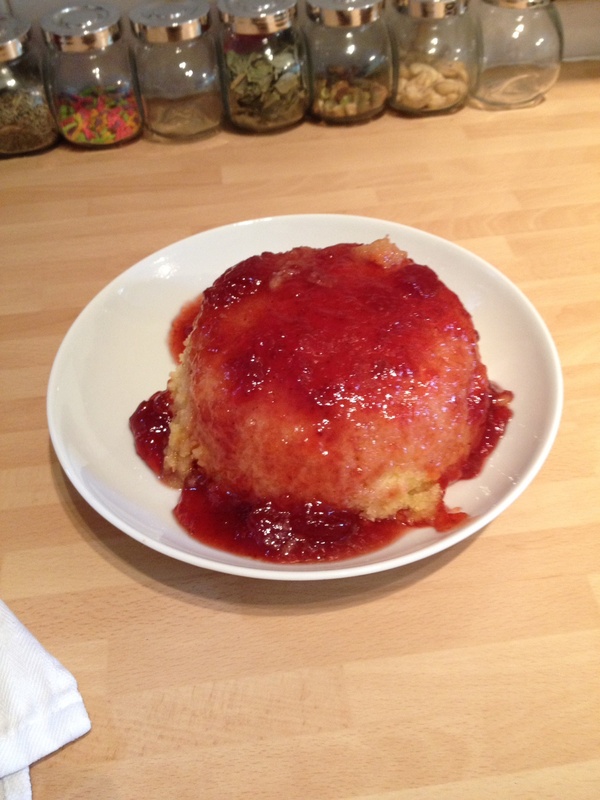 I made an old fashioned steamed jam sponge pudding. 1. Grease a pudding basin and put four dessertspoons of jam or syrup in the bottom of the bowl. 3. Add the eggs, one at a time. 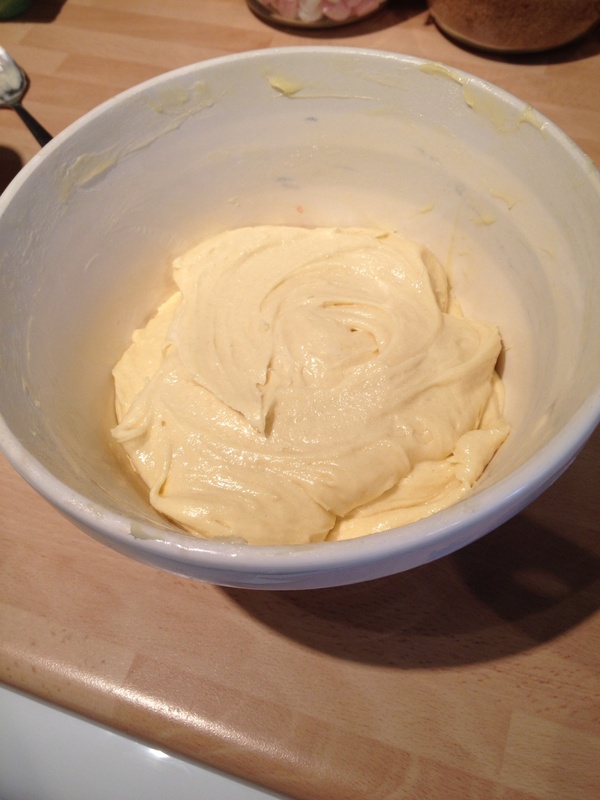 If the mixture appears to be curdling add a little of the flour. 4. Mix in the flour until combined. 5. Spoon into the bowl. 6. 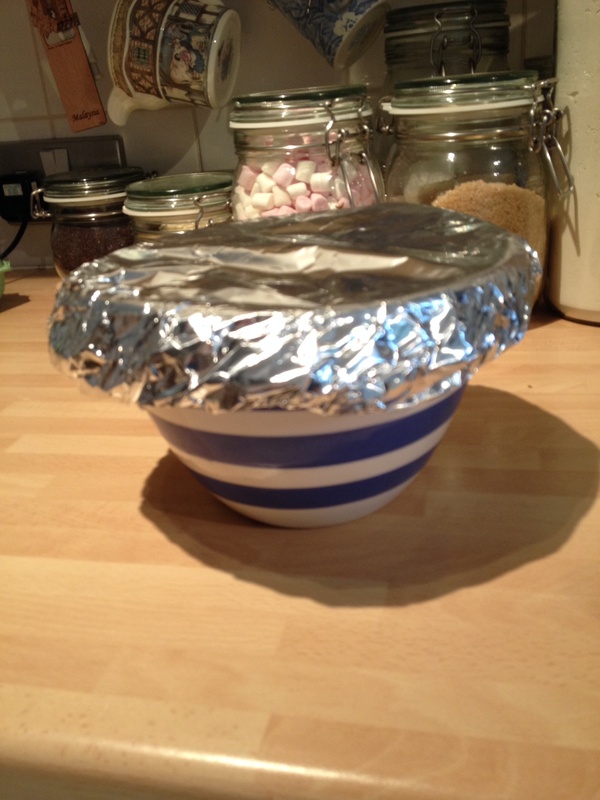 Make a double layer of baking paper and tinfoil and (with the foil on the upper side) tuck over the edge of your bowl to form a lid. 7. Steam for one and a half hours. I was using my steamer for the vegetables so used my pasta pan for this today! 8. 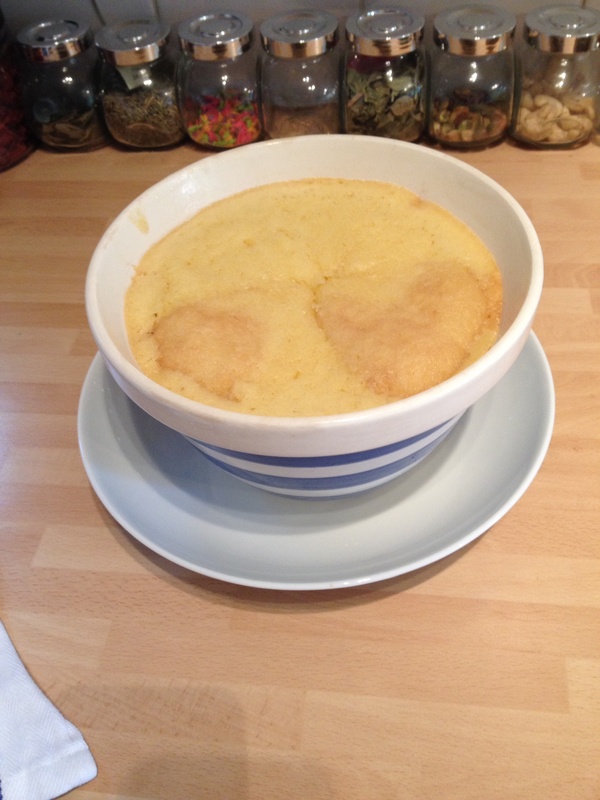 Serve with a good jug of custard! Looks yummy! Might consider this for my lunch club if I can do it in the time I have and have appropriate equipment. They would love it – old school #schooldinners! I love it! You’ve inspired me to clear up some cabinet space by adding some of the short jars along my counter.